Organizers of Game Developers Conference 2010 have announced that Sid Meier, the Director of Creative Development and co-founder of Firaxis Games, will speak from his 25 years of experience in game design in the keynote address at GDC 2010 this March. 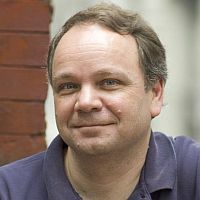 Best known for his work designing the genre-defining Civilization strategy game franchise, Sid Meier will present a keynote entitled "The Psychology of Game Design (Everything You Know Is Wrong)." In this rare address, Meier will describe how real-world, historical and mathematical facts cannot form the foundation of a successful game design. Instead, Meier will argue, the driving force of a game's design should be the psychology of the player. Along the way, the seminal game designer will draw illustrative examples from his canon to illustrate how the complexities of human psychology can inform game design more than the laws of logic, physics, or algebra. In this development model, egomania, paranoia and delusion become part of the designer's toolkit, as the player's perception becomes the real reality, connecting gameplay to the player's psychological experience. 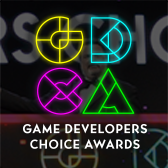 The keynote address will take place Friday, March 12 at Game Developers Conference, which runs from March 9-13 at the Moscone Convention Center in San Francisco. Meier is a recipient of multiple video game awards, including the Lifetime Achievement Award at the 2008 Game Developers Choice Awards and entry into the Academy of Interactive Arts and Science's Hall of Fame. His resume includes a plethora of pioneering and genre-defining titles, including 1991's Civilization, which challenged gamers to balance city-planning, economics, education, military strategy and global diplomacy, as well as the critically acclaimed 2008 follow-up Civilization Revolution. 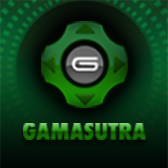 His other titles have included Pirates!, a unique blend of action, roleplaying, and strategy, as well as Railroad Tycoon, one of the first 'god' games. - Ubisoft Montreal lead designer Patrick Plourde will speak on 'Designing Assassin's Creed 2', discussing how "the design team faced the challenges of an enormous scope, one of the biggest development teams ever assembled and a limited time frame" for the critically acclaimed, Renaissance Italy-set action game. - In a lecture entitled 'Get Your Game Out Of My Movie! Interactive Storytelling in Mass Effect 2', BioWare's Armando Troisi "will focus on the narrative design fundamentals used at BioWare and how they evolved for Mass Effect 2, explaining components of the just-debuted game's story design, problems encountered during implementation, and design choices made for the long-awaited franchise sequel. - The always popular Game Design Challenge returns this year with a unique theme - the designers "must conceive a game that somehow incorporates the actual death of a real person." 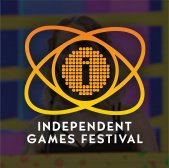 The contestants for the 'Real-World Permadeath' challenge, MC-ed by Eric Zimmerman, are last year's Challenge winners Heather Kelley (Kokoromi) and Erin Robinson (Puzzle Bots), facing off against Thatgamecompany co-founder Jenova Chen (Flow, Flower) and Airtight Games' Kim Swift (Portal). Also newly debuted from among the almost 300 already-confirmed GDC 2010 lectures are talks on shader techniques in Valve's Left 4 Dead 2, audio in Turn 10's Forza Motorsport 3, character customization in Realtime Worlds' APB, and a host of Summit talks spanning social gaming, iPhone games, independent games and beyond. "It's an honor to have Sid Meier, a true pioneer in game development, share his decades worth of insight at the 2010 Game Developers Conference," says Meggan Scavio, GDC Event Director, "We're also delighted to welcome so many other high quality lectures from the industry's leading developers." Early Bird rate registration for Game Developers Conference 2010 ends on next Thursday, February 4, 2010 -- for more information about GDC 2010, interested parties can visit the official GDC website.